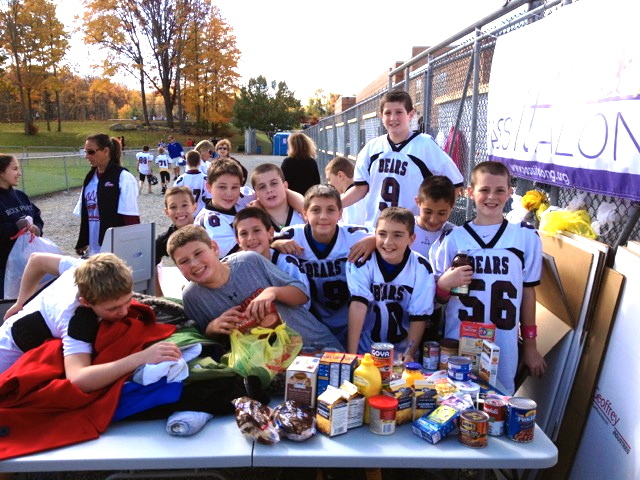 This past Saturday, the Sparta Bears Football League partnered with Pass It Along to hold a Coat and Canned Food Drive. 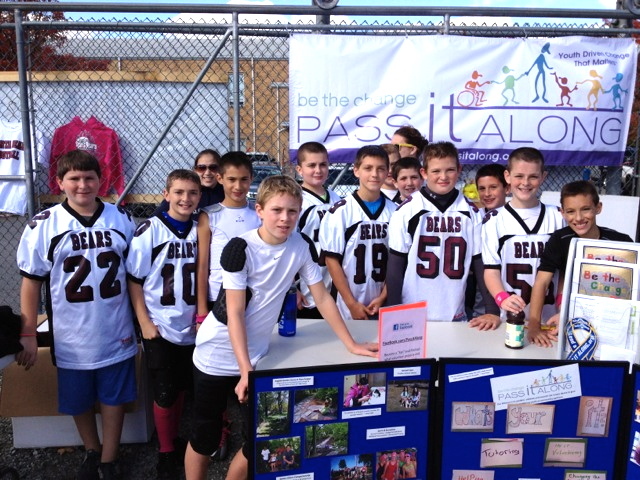 Throughout the day, between all of the games, team members ranging from 3rd to 8th grade volunteered their time to help collect and move the goods with the Pass It Along AmeriCorps members. With so many different games being played, they managed to raise 376 nonperishable items for the First Presbyterian Church of Sparta and 273 coats that will go towards Pass It Along’s Family Volunteer Day.